You must be knowing that every one of you has a credit report if you have taken out a credit card or any loan. You must be knowing that every one of you has a credit report if you have taken out a credit card or any loan. However, there are certain other things which you need to know. Go through the following lines in order to know certain basic things regarding credit report. Your credit report is actually your financial report card. Therefore, each creditor and lender will check your credit reports before granting your loan request. If your credit report is good, then there are higher chances of getting a loan at suitable terms and conditions. So, you should check your credit reports at regular intervals in order to be sure that it is up-to-date and free of any mistakes. While checking your credit reports, you must order reports from the 3 major credit bureaus. This is because not all companies report to each of the 3 major credit bureaus. Therefore, checking reports from the 3 major bureaus will help you know your credit standing accurately. It is very easy to order your credit reports from the credit bureaus. 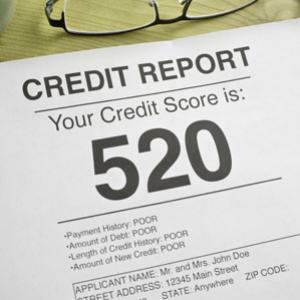 Each of the major credit bureaus has a website along with a mailing address and a toll-free telephone number, where you can order your free credit report. You can order your credit reports from the 3 major credit bureaus, one at a time or altogether. As per FCRA (Fair Credit Reporting Act), you are entitled to get a free credit report, once a year, from the 3 major credit bureaus, namely, Experian, Equifax and TransUnion. Apart from above, you can also order a copy of your free credit report under certain circumstances. The law entitles you to get a free report if an organization has taken adverse action, such as, you've been denied a credit or employment. However, you need to report it within 60 days from receiving the notice of action, and you'd get the name and other details of the credit reporting company. In order to get a copy of your free credit report, you need to give out your name and address along with your date of birth and SSN (Social Security Number). Usually, the credit bureaus ask your certain personal and/or financial questions in order to be sure that you're the actual person, to whom the bureau is disclosing your financial information. While checking your credit reports, if you find that there's any error, then you should dispute it without any delay. To do so, make a copy of that credit report, highlight the error and send it to the bureau with proof, so that the bureau rectifies the error. It will help you establish a clean credit report and in turn, it will enhance your chances to get loans at better rates and help you enjoy a better lifestyle.